The Moulsari campus has a canteen with two separate counters that serves the kind of snacks the students like; they are vegetarian and freshly made. 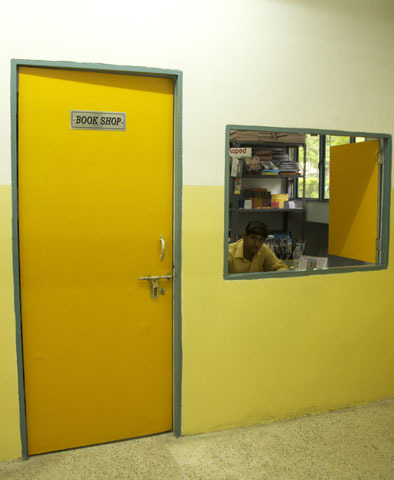 The campus has a book shop where prescribed books of the school curriculum are available throughout the year. At the beginning of every academic session, sets of books required for the year are prepared and sold at orientations for the convenience of parents. The school uniform, with its seasonal variations, is available throughout the year in the uniform shop, in the required sizes.